If you try searching in the corners, in that college closet, or even on the floor you’ll never find it! We’re talking about space. Dorm rooms lack space; they’re all small and cramped. Even if you’re lucky enough to have a larger dorm room, it’ll be considered larger by dorm standards only! So when you need to fit larger dorm items like college furniture into that dorm room, think smart. Think small! All dorm rooms also lack seating, so when you’re looking for dorm seats, you can still find size-efficient and comfy dorm chairs. In fact, you’re in the right spot! While DormCo has always offered a variety of dorm room chairs and college futons, some of our dorm chairs really stand out as comfy and space efficient. 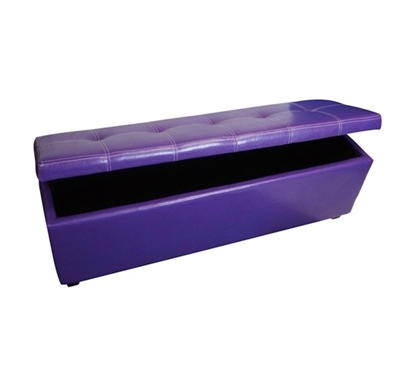 For example, our Storage Seating Bench seats 3-4 people and is perfectly sized for the foot of your bed. The top of the Storage Bench has comfy cushion top seating, and the hinged lid opens to give you tons of dorm room storage! It's comfy seating and storage all in one! DormCo’s Rocker Seats take up less space because they sit right on the floor. They’re like your basic video game seats—except better. The thick cushioning of these seats is … thick! That means it’s nice and comfy and fully padded. It’s just the seat that you’ll need to relax in after a long day of class. 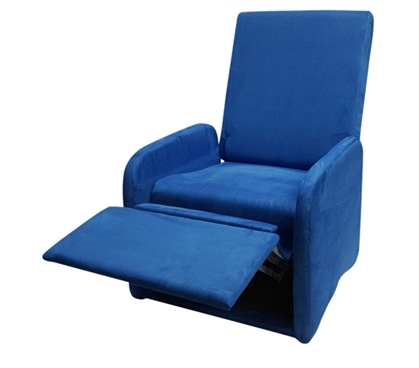 Our College Recliner is great college dorm furniture! It can fold down compact and save you space when it's not in use while also being comfy! This dorm seat folds back, creating a variety of reclining positions. With the seat reclined, you can even nap. The padded material makes this dorm chair great for naps; it won’t be lacking comfort, and it might even be comfier than your dorm bed. Sometimes that special seating will make an appearance only when friends are present for movie night, or some other social event. In those instances, it’s always helpful to have extra seating in your dorm. Like magic, you can pull out DormCo’s Memory Foam Butterfly Chair, unfold it, and soon someone will have the best seat in the house. This butterfly chair is thick and padded, and it folds up flat, so it can be stored under your dorm bed or against the wall. 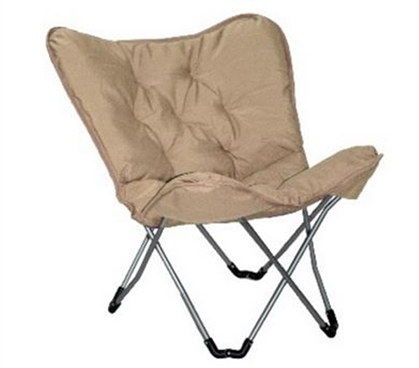 With this folding feature, no dorm room is too small for this dorm chair. And don’t forgot to make that dorm bed of yours into a comfy college seat as well. Sounds crazy? It’s not. Since you’ll spend so much time seated atop that bed, add DormCo’s Rest EZ removable seat. You’ll have back support, and a much comfier seat than if you had to lean against the wall while seated in your dorm bed. It’s truly innovative supplies for college like the Rest EZ that make dorm living the best it can be!